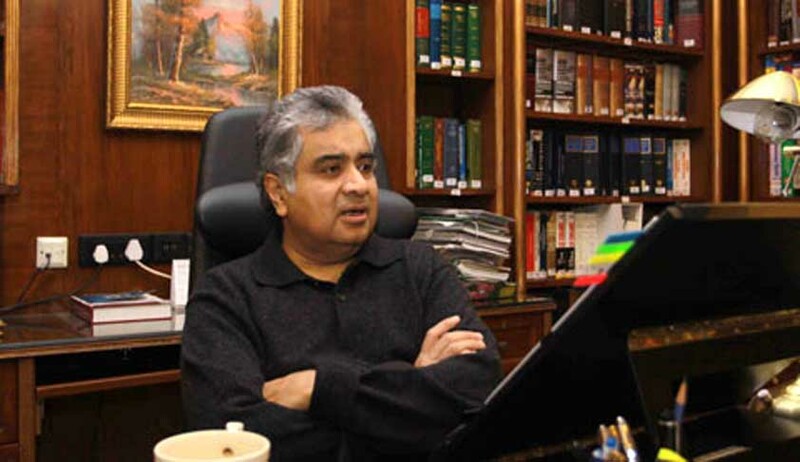 Senior lawyer Harish Salve, who was India’s Attorney at the ICJ hearing where he fetched India a huge diplomatic and legal victory getting the execution of Kulbushan Jadhav stayed but charged merely Rs 1 as fee says he feels the “profession is not just about making money and there is much more”. In an interview to India Today TV, Salve, arguably one of the most expensive lawyers in the country, said the more important thing was “to save the life of an Indian” and he would like to do anything for the country. When asked what was message he would like to send to the country’s young lawyers, Salve told India Today TV : “Always remember there are lot of bucks in the profession, the kind of money we make our predecessors never made, the money the current lot of youngsters are making we never made but remember the value of the profession must not go down..the profession is not just about making money..be your own critic ..judge yourself.. Nani Palkhivala always told me this. He said the victory was a result of a game plan very well executed with utmost emphasis on “secrecy” and revealed that the work towards it had started in mid-April. He said getting the ICJ jury assembled at short notice and getting an order urgently was the biggest challenge. “It is a big victory for India and with humility accept that my efforts have borne fruit. It is a big victory for me personally as a lawyer...it was a difficult case and involved a lot of research work. This victory was crafted not by me but the ministry of external affairs, by their team of dedicated civil servants and it has been crafted also by Prime Minister Modi. It (approaching the ICJ) was a huge step for the government to take. I salute the government for this resolute decision and the way they have backed us .unconditionally, unequivocally...not a word of what I wrote was changed…everything was left to me …every minute things and aspects..as a lawyer it gave me a lot of strength”, Salve said. On the “inside story of the victory and the strategy, he told India Today TV: “I have a very close personal relationship with the External Affairs minister. I along with my junior… she had done the initial ground work..had a number of meetings with the minister and the joint secretaries and we had started work from the middle of April..the big thing was secrecy as, if things had leaked it would have got messy.Whatever written by me was dictated by me and juniors were typing in the laptop”. India heaved a collective sigh of relief after the International Court of Justice stayed the execution of Kulbhushan Jadhav, with political leaders hailing the order, and the former navyman's friends erupting in joy and bursting firecrackers. Salve, came in for fulsome praise from Modi, Swaraj and a host of other leaders for his strong defence of Jadhav, facing gallows in Pakistan after a military court summarily convicted him of espionage and engaging in subversite activities.